Virgin Media adds five more HD channels | What Hi-Fi? Virgin Media is adding a further five high-definition channels to its cable TV service, bringing the total to 37. The new additions are Eden HD, Good Food HD, Dave HD, Watch HD and Alibi HD. 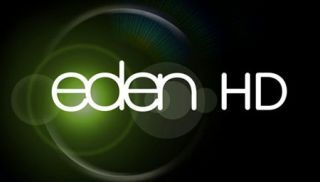 Eden and Good Food will begin broadcasting in high definition on October 7th, Dave on October 10th, Watch on October 12th and Alibi HD is due in 2012. In addition, Virgin is launching Yesterday+1 and Eden+1 in standard definition. All the new channels are from UKTV. Of all Virgin's 37 HD channels, 24 are available to subscribers to the 'XL' package with no extra charge. Cindy Rose, executive director of digital entertainment at Virgin Media, says: "We're thrilled to be bringing more dazzling HD channels to our TV service, offering our customers even more choice and variety."